Save on Your Heating & Cooling Bills! Go Energreen! Natural Gas lines are coming in all over Morris County and oil tanks are coming out faster than ever! I want to make sure that when you pay someone to put in your new heating system, you really get your money’s worth! If you’re upgrading from an older furnace, odds are you’ll get a boost in efficiency no matter what you install, but it still pays to do a full energy audit of your home and its heating needs. Many companies will encourage you to buy a more powerful furnace than you need to make sure that it can keep up with demand in the coldest Winters. In fact, most homes have overpowered furnaces. There are better ways to stay warm and they’ll save you real money! Energreen Technologies of Denville approaches installs with the goal of keeping you perfectly warm while using as little power as possible. First, they give homeowners a survey to complete. This helps pinpoint problems by interviewing the real expert on the home – YOU. Old energy bills, existing system specs and your own information about comfort in the home all get taken into account. If you’re cranking the heat all Winter long to heat up that one room that never seems to stay warm, a new furnace isn’t going to help. Drafts, inefficiently routed ductwork and a host of other factors need to be taken into account, and Energreen will then create a customized plan based on your needs and budget. Energreen employs computer modeling of your heating and cooling needs in order to figure out where insulation, duct alterations, weatherstripping, and even tree trimming can benefit you. By examining every variable and the individual energy needs of each room, they are able to get the absolute most out of your heating and cooling systems. Energreen was recently called in to handle the heating and cooling needs of a local 12,200 square foot home. The utility bills for a home of this size have the potential to be a financial disaster but, with careful planning, the homeowner has been able to live in comfort for around $650 a month, year round. That figure includes heating, cooling and electricity! 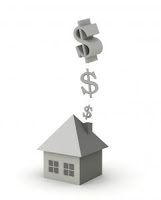 Keep in mind that an energy-saving home is money in the bank for the future. You may be surprised how quickly reduced utility bills can pay you back for purchasing a better more efficient system! Please keep Energreen in mind for your gas conversion, oil heat, AC and tank remediation needs. They are a full service heating and AC company with an innovative approach!